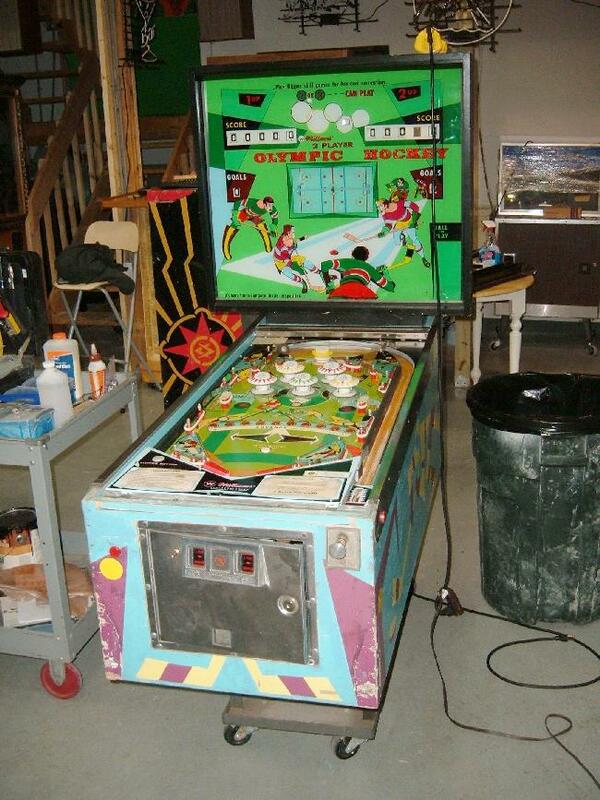 One of the friends was having a problem with their 1972 Williams Olympic Hockey pinball, and wanted some advice on how to fix it. I always tell friends if they have a problem game, something they’ve tried to fix but could not, bring it in and we’ll take a look at it together. You know, two (or three) heads are better than one. In the back box we found the culprit – the second player hundreds reel was fried. Since the reel wasn’t at zero, when a game was started the game would try and clear this score reel to zero. The problem is, the coil was a dead short, and just blew the coil fuse. So put a new coil in, right? Sure, but only if you can get the old coil out! It was so melted that the score reel plunger would not come out of the coil, as the coil melted around the plunger. Since these Williams EM plungers/links for score reels are no longer available, had to cut away the old coil to extract the parts. We did this by chopping away at the burnt coil, taking layers off until we got to the core. Then the melted plastic could be chipped away from the plunger. We did all that and it worked great (but took some time), saving the original score reel plunger and link. Then we installed a new coil. Now comes the hard part – why did this score reel lock on and burn? 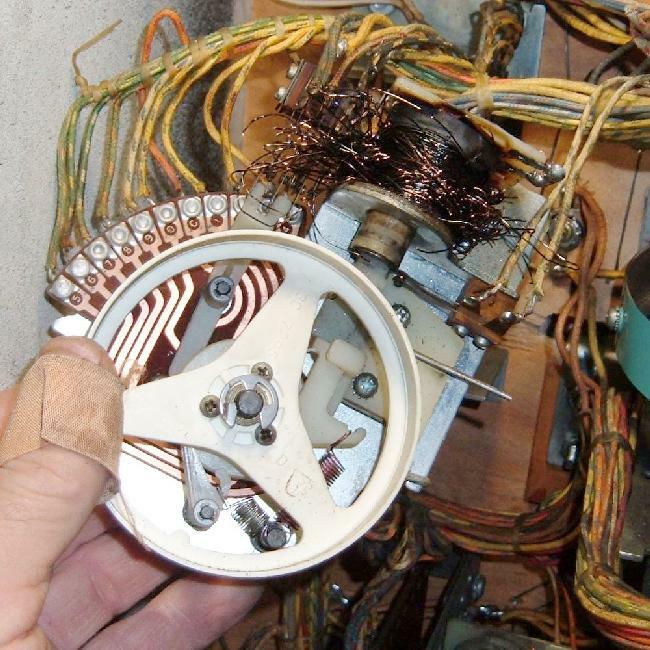 Usually it’s caused by a stuck playfield scoring switch. Yet this time that was not the case. 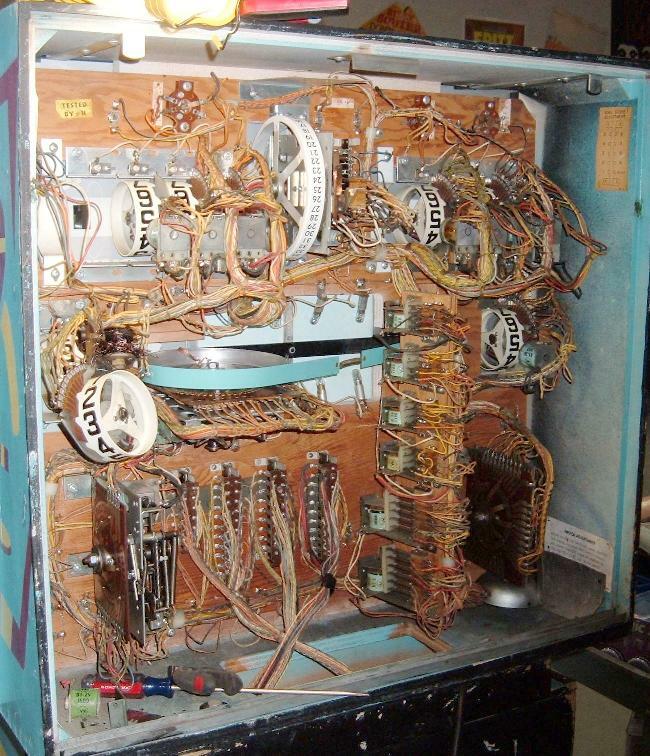 Instead it was a playfield wiring connector problem , where a wire was shorting against another, causing the score reel to lock on. Got that fixed and the game was back in action!